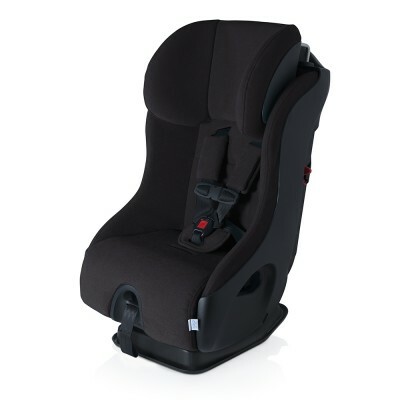 Clek's compact convertible car seat equipped with safety from every angle - Extended rear-facing, Energy-absorbing crumple technology, and Advanced side-impact safety! Fllo is tailored in Greenguard Select Certified Crypton Fabrics and is designed with best-in-class width at 17 inches, providing space to fit 3-across easily. Height Measurement in Rear-Facing: 23.5 in.